2 or 4 Slice SD Toaster (with optional wings) #3DThursday #3DPrinting « Adafruit Industries – Makers, hackers, artists, designers and engineers! 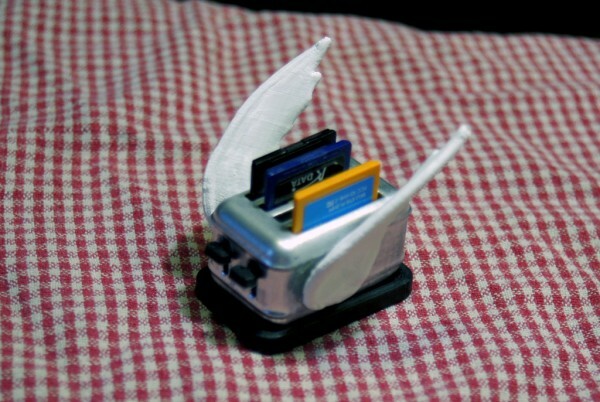 I enjoyed ThunderMuffin’s SD card toaster idea, and made my own design. 2 or 4 slice versions, full size SD cards. I added a pair of wings. Because After Dark.